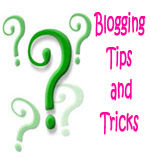 Guest Posting at Yearning to Read! I've altered things a little to include one book that hasn't come out yet and one that has already been published but I still haven't gotten around to reading yet. Kat Stephenson is back to cause more chaos! Stepmama drags the family to Bath to find Kat's sister a new suitor. But, unknown to most of its gossipy visitors, Bath is full of wild magic. When Kat uncovers a plot to harness this magic in the Roman Baths, she finds her brother Charles is unwittingly involved. Kat must risk her newfound magical powers as she defies the Order of the Guardians to foil the plot and clear her brother's name. I absolutely adored the first book Kat, Incorrigible! Stephanie Burgis wove a story that was exciting, hilarious, and completely heartwarming. The first book ended nicely and without many loose ends, so my excitement for the sequel is pretty much based completely on the strength of Stephanie's amazing writing. I don't need to read more because the story was incomplete. I WANT to read more because the story was awesome! For years, Old Gregory has been the Spook for the county, ridding the local villages of evil. Now his time is coming to an end. But who will take over for him? Twenty-nine apprentices have tried--some floundered, some fled, some failed to stay alive. Only Thomas Ward is left. He's the last hope; the last apprentice. Can Thomas succeed? Will he learn the difference between a benign witch and a malevolent one? Does the Spook's warning against girls with pointy shoes include Alice? And what will happen if Thomas accidentally frees Mother Malkin, the most evil witch in the county...? I've actually already read this book, but I really want to read it again. I read it a few years ago and I remember loving it, but the rest of the books in the series weren't available at the time. Now they are available and I'd like to continue on with the series. Only problem? My memory is awful and I don't remember enough to pick up book 2 without going back and re-reading book one. Have any of you read either of these books? Would you recommend them? Feel free to link your reviews for these books in the comments. 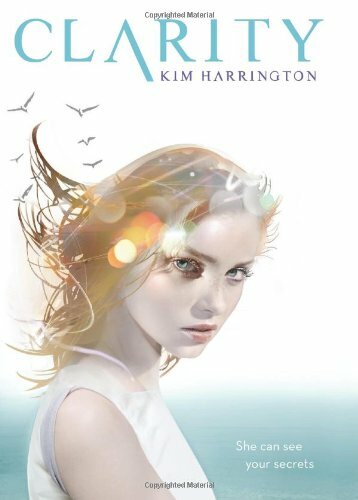 Have you reviewed Clarity by Kim Harrington? 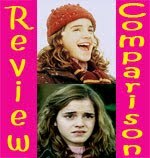 If you have, I would love to include your review in my next Review Comparison post! CLICK HERE to submit your review and learn about the feature. I just got Kat Incorrigible from the library. I can't wait to read it! Oh, I completely agree with you bout Kat, I can't wait for it. Have you seen the UK cover? it's lovely, too. Have a great week, enjoy your reading! What am I waiting for this Wednesday? I'm really looking forward to this super awesome sequel! -Mocha from A Cupcake and A Latte: YA Reads, Reviews & More!. I adore the cover of Renegade Magic. Sounds like you have some interesting choices. 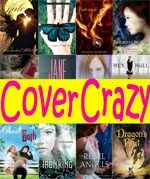 eye catching covers, great choices. Woah -- I hadn't heard of The Last Apprentice, but it sounds AWESOME. Kind of Grimm's Fairy Tale-ish. I hope it has a style like Chime, because I think that would work well with it. Adding to my TBR! Thanks! Both of these look FANTASTIC. I'd heard of the 2nd book of the Kat series, but not the other book you showcase. That one looks SUPER fun and I LOVE that cover! I love that you reread books before going on to the next in the series. My son will start over from book 1 and reread entire series each time a new book comes out for some of his favorites. My memory is awful, but I'll struggle along trying to remember rather than rereading--I feel too pressed for time. It makes more sense to reread and fully enjoy! I didnt know the cover for Renegade Magic was already release. It looks so cute. I love Kat!! A little bummed book 2 doesn’t come out until next year though. Great picks! 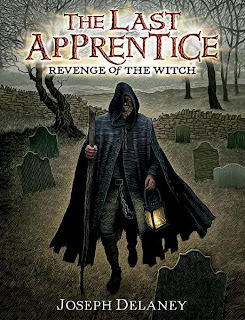 Love the Last Apprentice cover. T.B., I remember reading your review for The Last Apprentice! It made me want to reread the book again. Alex, Oh yes, I like the UK covers, too. I love the US covers though. Especially for the first book. Yiota, I hear you! I always feel guilty re-reading books when I have so many unread books I want to get to. Casey, Yes, very Grimm-ish. It’s dark, but light and lots of fun. I hope you like it! Gina, I think you’d like The Last Apprentice. There are illustrations through the whole book that are in the same style as the cover. Susan, Well, I try to reread them, but I don’t always get around to it. I have a bunch of series like this one where I intend to reread them so I can finish the series but instead they just sit on my shelves. I don’t like struggling through where I only remember fragments. I’m always frustrated then and I feel like I’m not enjoying the story as much as I would if I had remembered more. Jenny, I really like the covers the series has been getting. Christie, Me too! It comes out sooner in the UK, but that doesn’t help me! 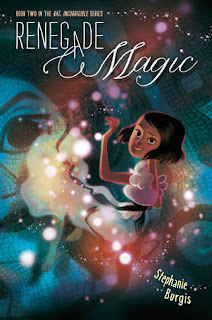 I'm in love with the cover of Renegade Magic! I must get Kat, Incorrigible!! I need to read Kat Incorrigible. I've heard such great things! eep! I must read Kat Incorrigible before the sequel comes out!